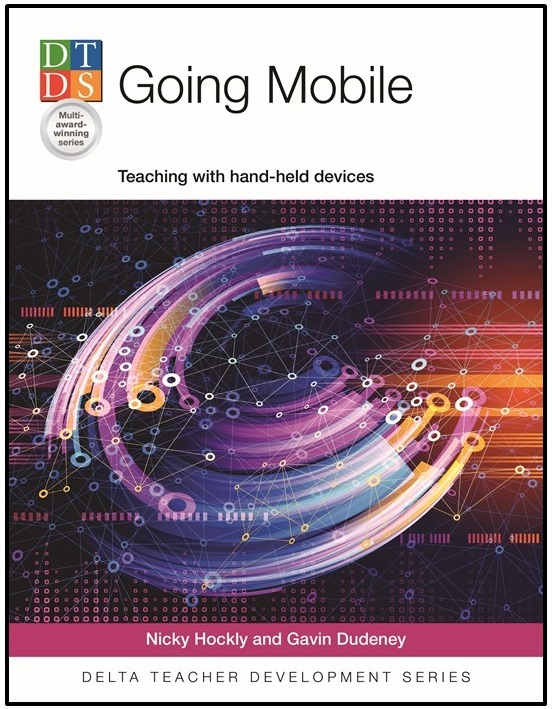 My co-author Gavin Dudeney and I are delighted to be shortlisted for a 2015 British Council Innovation Award (ELTON), for our latest book Going Mobile. To celebrate, we are running a raffle! To win a copy of the book, simply answer (correctly!) the four questions on our website. The raffle closes on 15 May, and we will announce the winner via our social media channels on 18 May. Actually we’ve been nominated for two ELTONs this year – one for Going Mobile, and the other as part of the team that developed the NILE Online courses. This nomination is in the category of ‘Digital Innovation’. Going Mobile is in the category of ‘Innovation in Teacher Resources’. There are many excellent contendors in all the categories, so it will be a close race! The British Council ELTONs are a prestigious prize in the English language teaching community, and we are very honoured to have been shortlisted several times now. We won our first ELTON in 2007 for our ‘ICT in the classroom’ online training course. This was back in the day when The Consultants-E were the only organisation offering online teacher training in the application of new technologies to the English language classroom. It’s nice to come full circle and to be nominated with the NILE team for more online course development, 8 years later! This year’s ELTONs ceremony will be held on 4 June in London. There will be ‘red carpet’ interviews and the ceremony itself will be live streamed. We hope to see you online for that – and in the meantime, good luck with the raffle!